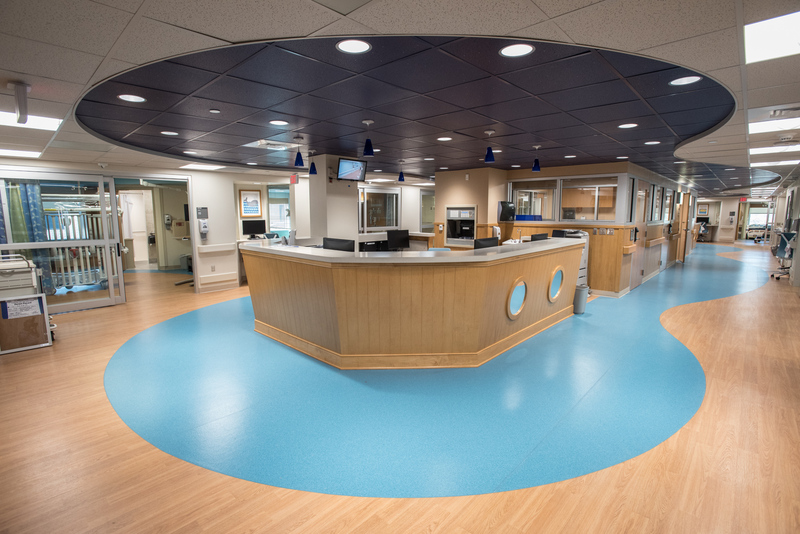 The Pediatric Cardiovascular Intensive Care Unit (CVICU) at Ochsner Hospital for Children is a 12 bed inpatient unit that provides cardiac critical care to pediatric patients from birth to adulthood. This unit opened in December 2016 and is the only unit of it's kind in the Gulf South with all private patient rooms. All rooms are acuity adaptable, meaning the level of care changes around the child, so that they can stay in one room throughout their hospitalization. All rooms are equipped with a Family Zone, which provides a comforable space for parents and caregivers. Our multidisciplinary team includes doctors trained in pediatric critical care, pediatric cardiologists and pediatric cardiac anesthesiologists. They work alongside our cardiac surgeons and together with a team of highly specialized nurses, therapists, nurse practitioners and physician assistants to provide the best care and outcomes for our patients.